With technology playing an increasingly large role in today’s health industry, the world faces a demand for engineers who can understand, model, and design complex biomedical systems. We rely on these multi-disciplinary engineers to bridge the gap between medicine and technology, and develop innovative solutions for our health-related challenges. 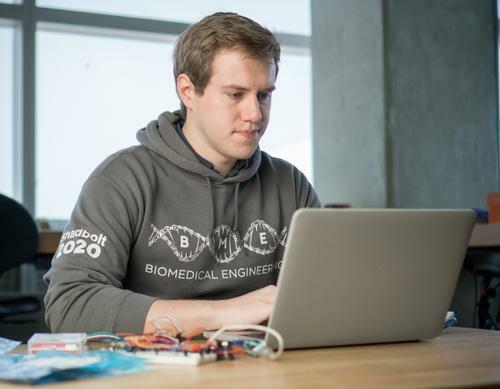 In response to this unprecedented demand, Waterloo launched the Biomedical Engineering undergraduate program in September 2014. This unique co-op program offers the interdisciplinary background, problem-solving skills, and hands-on experience needed to collaborate with biologists, medical practitioners, policy makers, and engineers in different fields. Students will graduate with the ability to design technologies and engineering solutions for complex health-related problems, including quality-of-care, public health, rehabilitation medicine, and sports medicine. 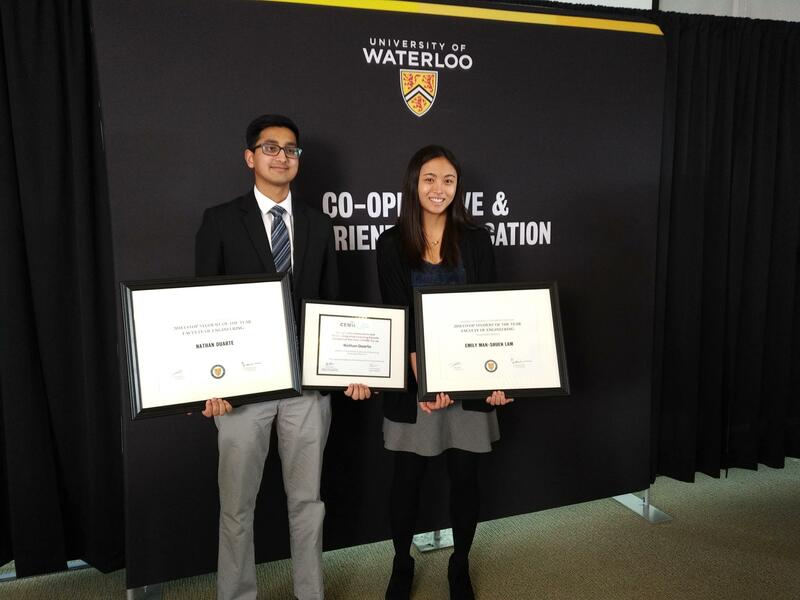 Every year, six exceptional co-op students, one from each faculty, are recognized by the University of Waterloo for their contribution to their employer, their community and the further development of experiential education. A third-year biomedical engineering student who learned Portuguese during a work term has been named one of the University of Waterloo’s top co-op students for 2017. Vincent Shadbolt, who lists involvement with the Waterloo Dragon Boat Team as one of his interests, got the nod for the Faculty of Engineering for his contributions to his employer, his community and the development of co-operative education. Our SYDE-BME women - identifying students, staff, and faculty came together to celebrate International Women's Day. We are so proud of the amazing contributions that they make to our SYDE-BME Community and beyond.